This comes days after the Nairobi governor donated Sh500,000 to rescue the Kenya national roller-skating team that was stranded in Cairo, Egypt while participating in the Africa Roller Skating Championships. Just days before that, Sonko bailed out the Kenya national amputee’s football team in Mexico while on a World Cup assignment. He provided the team with jerseys branded Sonko Rescue Team and wired Sh500,000 following the team’s good showing against the USA. While a large section has been lauding the governor, Sports CS Rashid Echesa reads malice in Sonko’s ‘philanthropy’, especially with regard to the Amputee Stars football team. 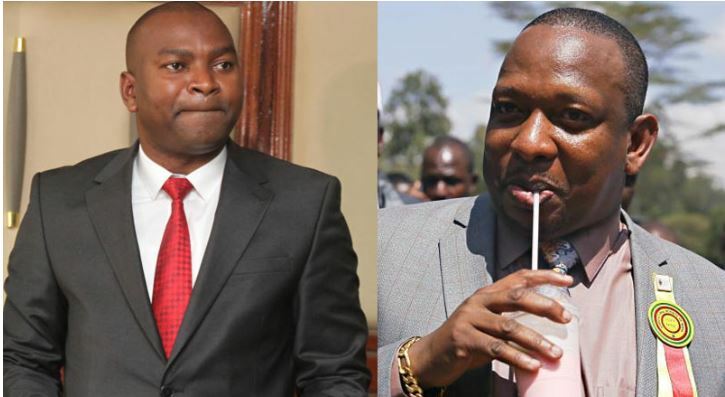 “Sonko awachane na PR,” Echesa told The Nairobian. But Sonko dismissed the PR claims and stated that he is doing all this for the love of sports. “This thing (love for sports) is in my heart. I’ve been doing it since I was an MP. I also did it when I was a senator. To me, supporting sports is part of leadership. What I’m doing is not PR. Mimi najua ni kazi nafanya. And I believe that sportspeople should not suffer when I’m there as a governor,” he was quoted.